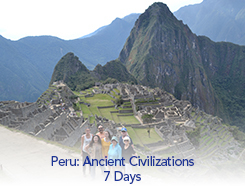 Join this in-depth exploration of the Inca Empire culminating in your visit to the awe-inspiring Machu Picchu where you will watch the sun rise over the mountains. Local guides provide a fascinating narrative as you discover the mysteries of the past and the colorful, vivid lifestyle of modern day Peru. 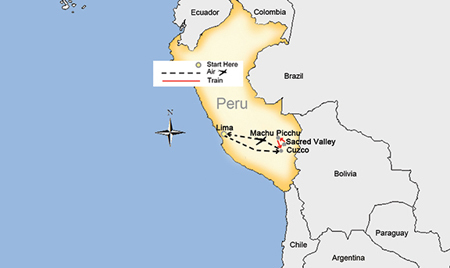 Depart North America today and arrive in Lima, Peru. You are welcomed and transferred to the hotel. Internal airfare applies. Please contact us for current applicable pricing. Festival (June 20 to 24, 2019) and during Christmas & New Years. • Ride the rails through the Urabamba Valley aboard the panoramic "Vistadome train"
Pablo Seminario Peruvian Ceramic Souvenir for SITA guests.